You can now get printable versions of these recipes on my website. 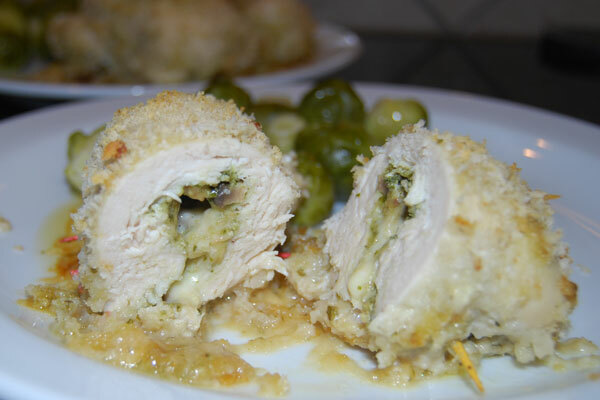 Go to www.susanmallery.com, hover over Members Only Lounge, and then select Recipes. You don’t have to join the Members Only Lounge in order to get the recipes, but it’s free, so why not? While you're on my site, you can read Chapter 1 and 2 of SOMEONE LIKE YOU for free. 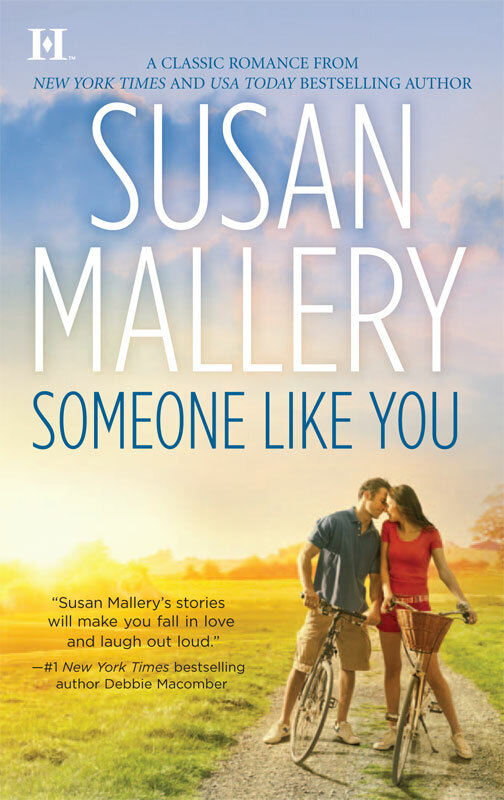 SOMEONE LIKE YOU is being reissued today with this fabulous new cover. Recently, a foodie friend with a more sophisticated palate than mine raved to me about the miracle of Japanese Panko style bread crumbs. She said baked chicken coated in Panko crumbs would turn out really crispy. And you know how much I love Crispy Baked Chicken. So Panko was floating around in the back of my mind when I happened across this recipe for Pesto Cheesy Chicken Rolls. It looks delicious, doesn’t it? And it’s low carb, too… but still, I had to mess with it. After all, I had that Panko floating in my head. I did follow the recipe for the first few steps, and I discovered something about myself: I am not good at pounding chicken. Boneless, skinless breasts, I mean. Although I suspect I would not be good at pounding a live chicken, either. Not a theory I ever intend to test. In my recipe – which turned out delicious, by the way – I used Homemade Pesto that I had in my freezer, but you can use a jar of pesto. I also added some sliced mushrooms inside the chicken breasts, but you can skip them if mushrooms make you wrinkle your nose. You can also make this with traditional bread crumbs if your store doesn’t have Panko style. But then you have to change the name of the dish. Preheat the oven to 350 degrees. Mix 1 tablespoon of pesto with the mayonnaise and set aside. Divide the remaining pesto equally between the four chicken breasts. Top with mushrooms and cheese. Roll up tightly and secure with toothpicks. 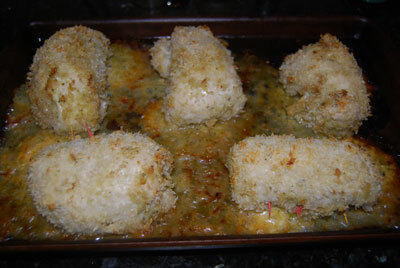 Cover the outside of each chicken breast with mayonnaise mixture, then roll in bread crumbs. Place on an ungreased baking sheet with a rim so the juices don’t overflow. Bake until done, about 40-50 minutes. Good idea, Gail! Let me know what you think! I got some panko crumbs awhile back and have been trying to figure out how to use them. This sounds faboo! I'll get the other ingredients when I go to the store this week. I'm going to ask the butcher to flatten the chicken for me. I don't have the physical strength any more. What a great idea, Margaret! I'm going to do that next time, too. I have the strength but not the will. I do not enjoy pounding chickens. Let me know how it turns out!